Or be more active and use Megaphone - people all over your country will see your message and will want to chat with you or even make friends. Simply send them a message or cute emoji - and you are already chatting! Frim is not only about finding new friends, it is important for us in MoCo Media to give you all messenger possibilities to chat with your friends like in Whatsapp and Viber. So you can use a lot of our exclusive smileys and fun stickers, or simply emojis! And certainly you are free to share any photos with your friends. 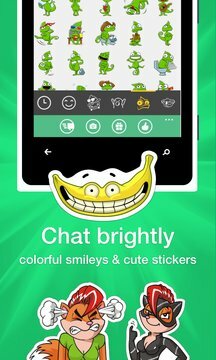 “Alternative Social for all chatting apps” and many many more!